This issue’s cover is from Philip Reeve’s Here Lies Arthur. Philip Reeve is interviewed by Geoff Fox. Thanks to Scholastic Children’s Books for their help with this May cover. 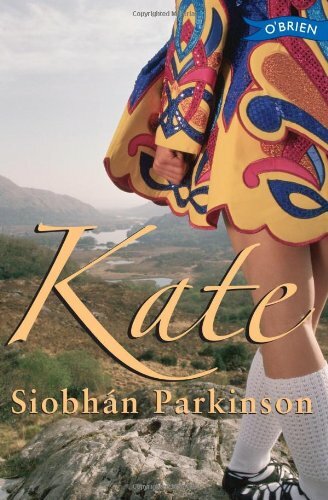 This is a fairly predictable tale of a poor kid who shows a talent for Irish dancing and, through various miraculous breaks, obtains a much needed costume and consequent success. Oddly enough, the predictability works well. Kate, her family, and the nuns at school are among the cast of folk that provide warm dialogue and witty reflections on the trials experienced. Dancing through them all is the delightful narrator, whose realism and thoughtfulness bring to Junior and Middle readers a subtlety of narration that will stretch them, while also engaging them with a truly likeable character. As readers we are taken along by her narration but the events she navigates are complex enough to require the reader to form an independent opinion of the direction Kate’s fortunes are taking. The story is set against the background of 1930s Dublin but, to great relief, allows the politics of the time to feature but not dominate. Religion receives the same treatment, leaving us with a story where straightforward dilemmas and plotting provide a simple stage for what turns out to be a characterful study in the human spirit.